Waltons' feather edge fence panels are stylish, practical and perfect for any garden. Our feather edge panels are constructed using overlapping timbers, reinforced with thick wood panels for extra durability and strength. This fence is supremely strong – perfect if you're looking for a secure boundary around your home. Our selection of feather edge panels range in height from 3ft - 6ft so you can choose the right panel for your home. You can also choose from curved top or flat top fence panels. 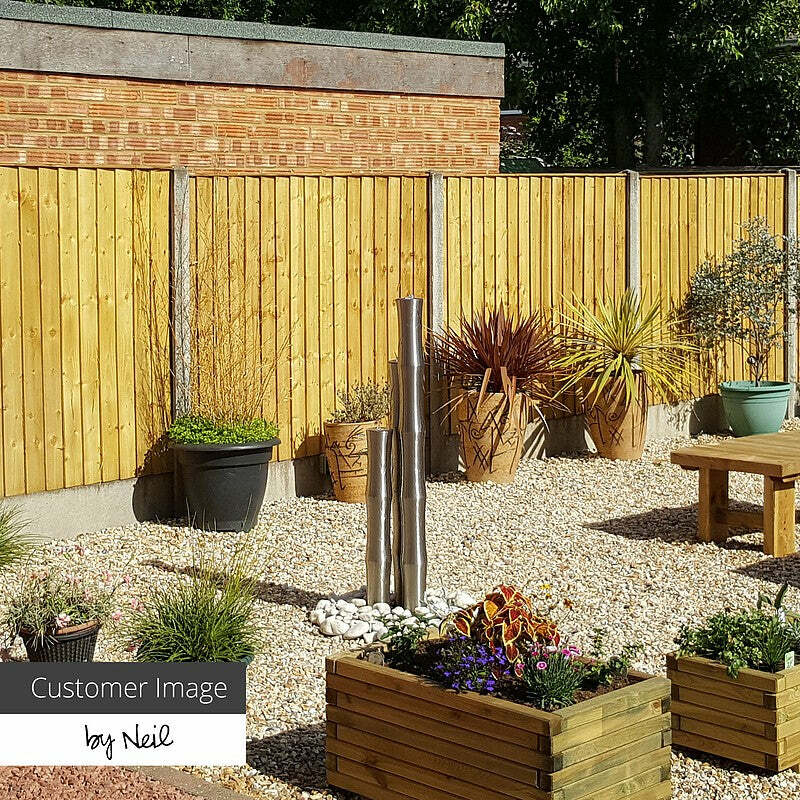 Feather edge fencing has a simple style perfect for blending with both contemporary and modern gardens. As well as size and style choices, you can plump for the economical dip treated feather edge panels, or the long-lasting, low-maintenance pressure-treated fencing. It's entirely up to you.